Disney World is known for its fun theme parks and beautiful resorts, but many people don’t realize that each Disney World Resort has a large assortment of organized activities. One of these unique activities is the Port Orleans Beignet Dash fun run. 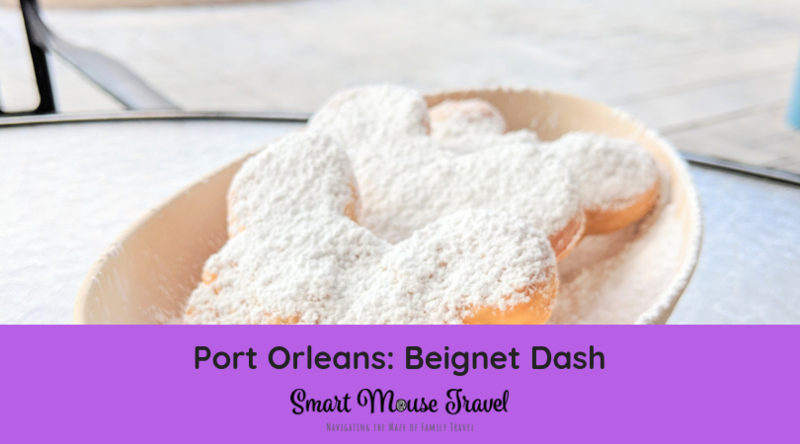 What Is The Port Orleans Beignet Dash? 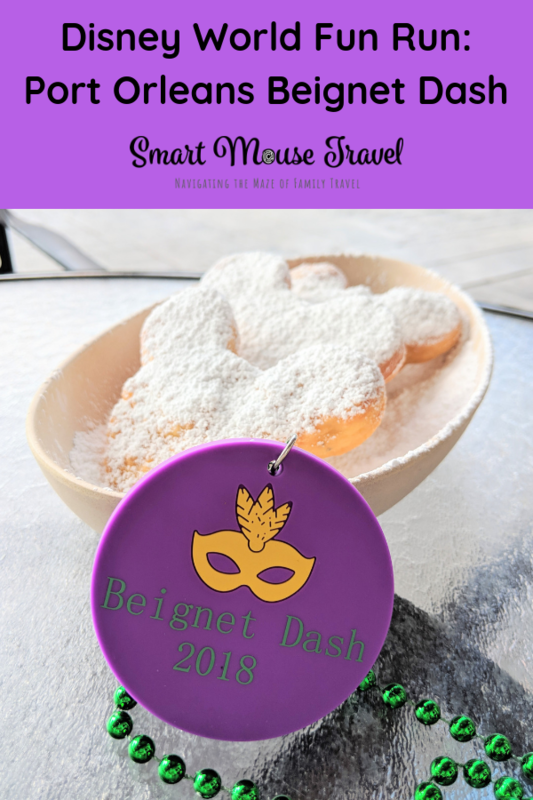 The Beignet Dash is a fun run that takes place each Sunday morning. 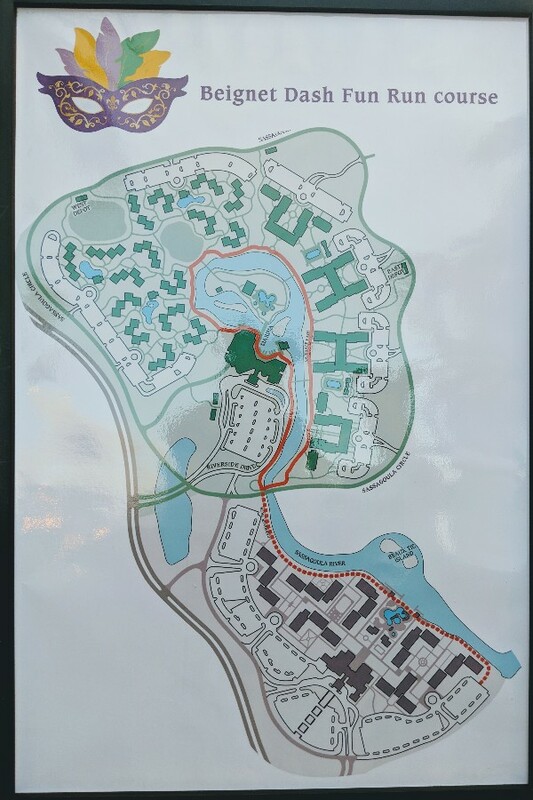 The race route goes around both the Port Orleans French Quarter and Riverside resorts. 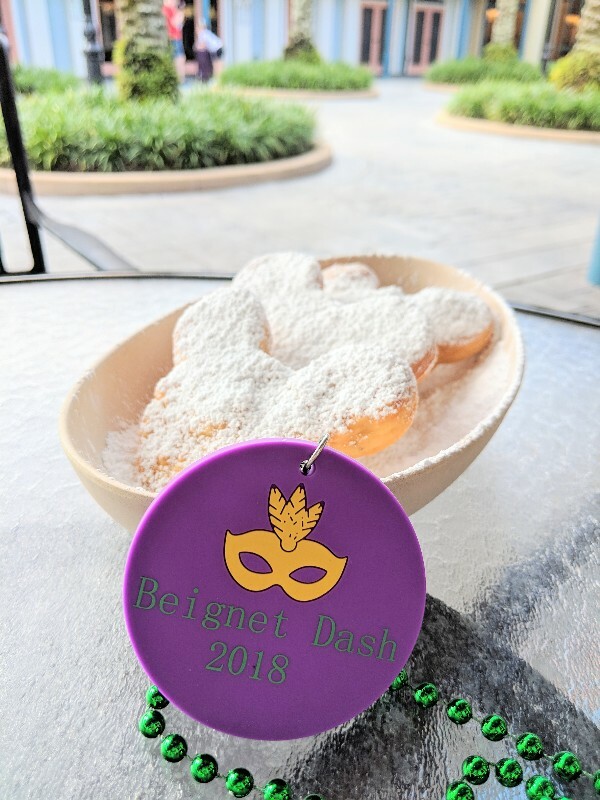 Check in for the Beignet Dash takes place at 7:30 am behind the Doubloon Lagoon pool and Building 5 along the river walk. The race begins promptly at 8:00 am at the check-in area. We felt that the Beignet Dash gave us a great overview of both Port Orleans properties and how close they are to one another. This was especially nice since we were doing a split stay between Port Orleans French Quarter and Port Orleans Riverside. Look for cast members and signs along the route to stay on the right path. Many cast members also cheered for runners and used bubble wands as a fun touch. Is The Beignet Dash A Timed Race? The Beignet Dash is a relaxed, no-pressure, family friendly 1.5-mile (2.5-km) run. The run starts at Port Orleans French Quarter and winds its way along the river walk, through the Port Orleans Riverside resort area, and back to the starting line at French Quarter. There is no time limit for the Beignet Dash. There are a mix of runners and walkers, so race times vary considerably by individual. Elizabeth had just been released from a broken foot by her orthopedic physician when we did the Beignet Dash. Don’t worry – the orthopedic knew and said she was healthy enough to do the run. Since it was the first real test of her healed foot we took it slowly. The back of the Beignet Dash group was great and had plenty of friendly people. A cast member will stay with the last people of the Beignet Dash group, but there is no sweeping of the course like in a regular runDisney event. The cast member is there to make sure everyone gets back to the starting line safely. How Do I Sign Up For The Beignet Dash? Sign-ups for the Beignet Dash can be done in advance at the Port Orleans French Quarter concierge or by calling +1 407-WDW-PLAY. You can also register at the check-in desk on race day. Please note: Registration on the morning of the run requires credit card payment. We opted to pre-register the night before the run. However, we found that on the morning of the Beignet Dash crowds were light. It would have been quicker to register immediately before the race. 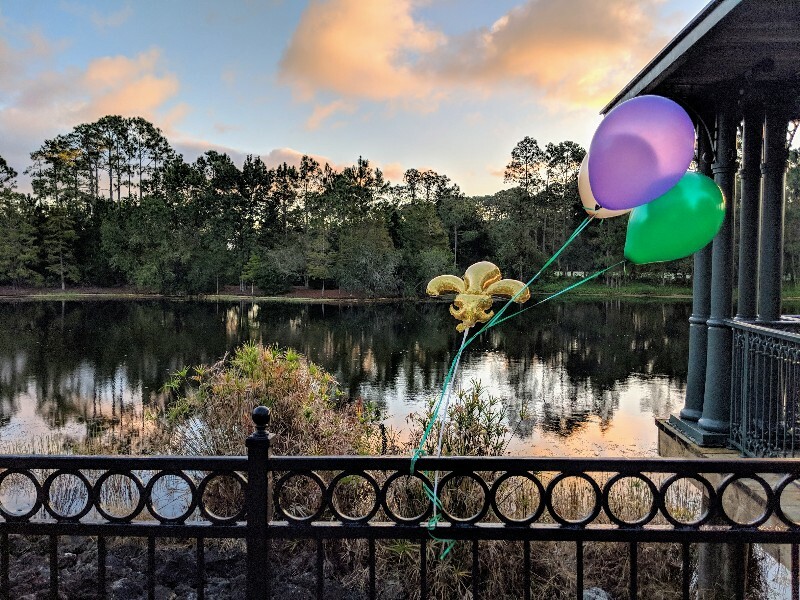 The fee to participate in the Port Orleans Beignet Dash is $15 plus tax per person as of February 2019 regardless of when you register. Once you’re checked in, a cast member gives you a Beignet Dash race bib. 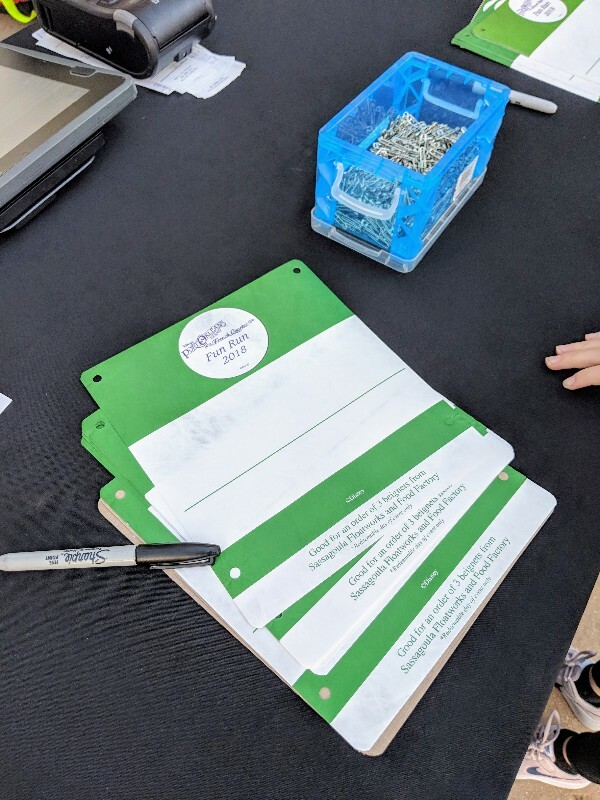 Markers and safety pins are provided so you can write your name, personalize and attach your bib before the run starts. Do I Get A Medal For The Port Orleans Beignet Dash? There is no runDisney medal, but you are awarded a Mardi-Gras-inspired bead necklace with a charm. The charm says Beignet Dash and the year you participated. Staff also hand out cold waters. The costumed greeter of Port Orleans French Quarter is also available at the end of the race for pictures. Make sure you use some of the fun photo booth props in your pictures! 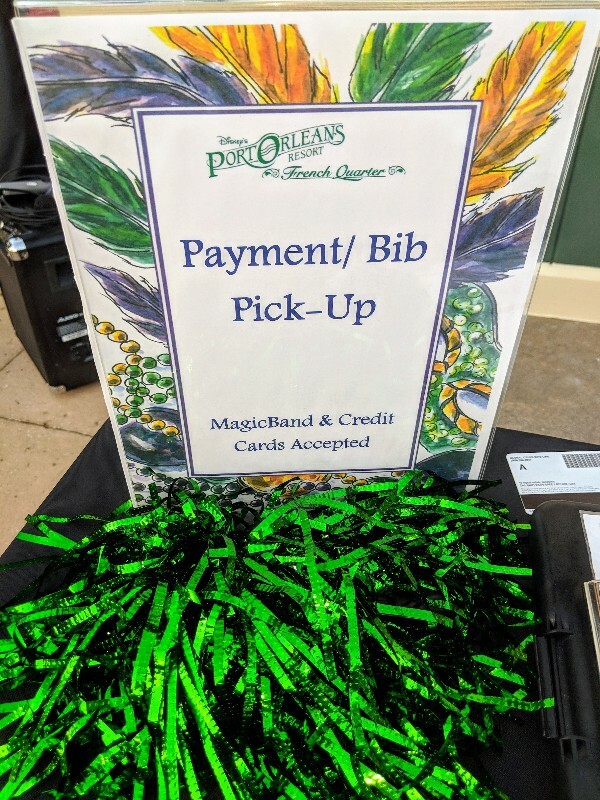 The most important thing you will have earned from your Port Orleans Beignet Dash fun run is a voucher for three delicious beignets at the bottom of each bib. The only problem is the voucher expires at end of day on Sunday. I knew we would never be able to eat six beignets at once, so we opted to use one voucher for breakfast beignets and the other voucher for our late-night snack. Kids age 17 years and younger must have a parent register and accompany them on the run. The race may be delayed or canceled in the event of inclement weather. You will be refunded your registration fees if the run is canceled. At the finish line cast members are happy to take photos of you and your group with your phone or camera. If your kids are anything like mine, then they may ask to wear their medals. I let Elizabeth wear hers to Animal Kingdom, and within the first hour the charm had fallen off. We retraced our steps but could not find it anywhere. I would recommend leaving the medal safely in your room. Don’t let your beignet vouchers expire! The beignets are delicious any time of day and are made fresh at Sassagoula Factory and Floatworks right in front of you. I love how welcoming Disney run events are for everyone. 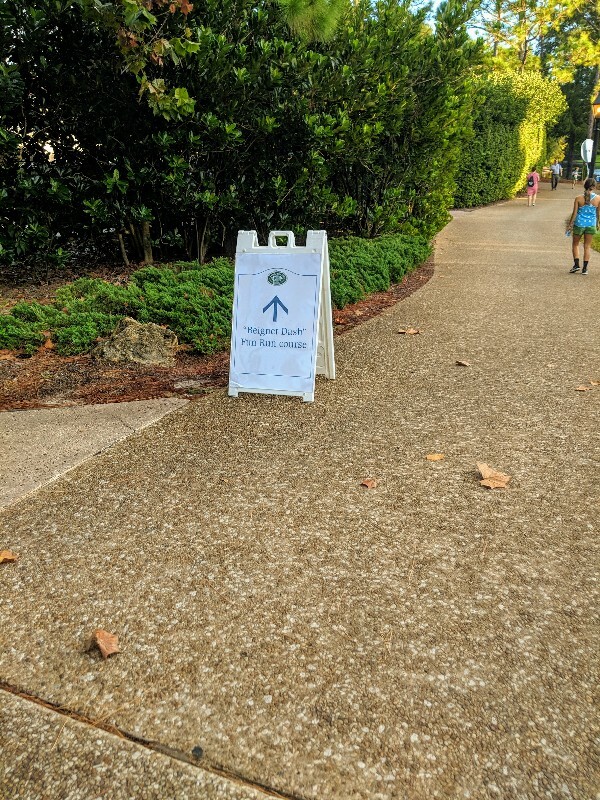 I have done a runDisney 5K and a runDisney at home 5K in the past, but my daughter had not yet done a run event on Disney property. 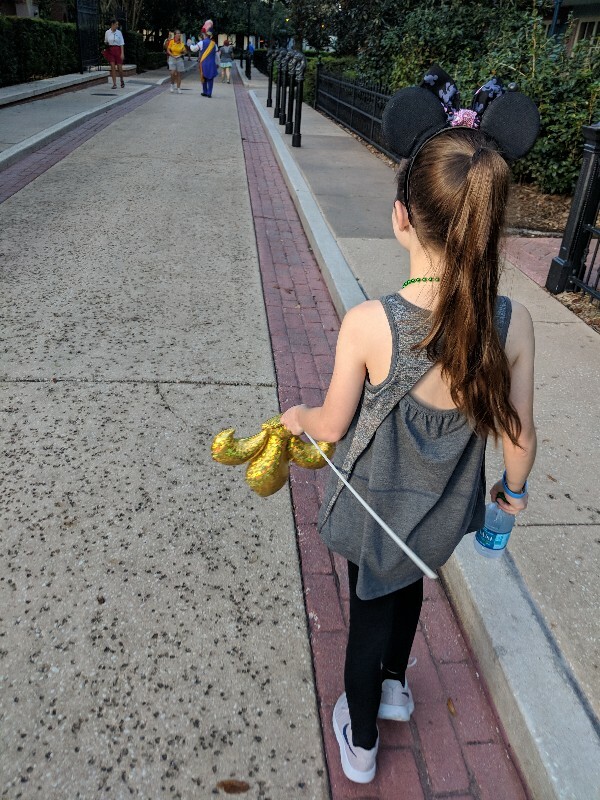 The Port Orleans Beignet Dash was an inexpensive way to give her a little Disney running magic. The Port Orleans resort grounds are beautiful and the run was a nice way to jump start our day. And let’s be honest, who doesn’t want some early morning exercise to justify breakfast beignets?